Lately, I've become obsessed with Korean BB cushion foundations. Despite knowing the usual criticisms (e.g. 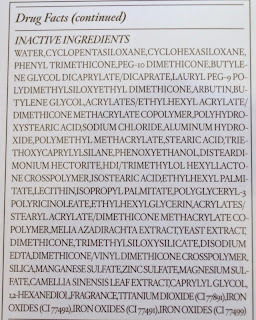 the hygiene aspect of repeatedly touching the sponge surface with the applicator puff, the miniscule amount of product compared to traditional liquid foundations etc), I was intrigued to explore this latest makeup fad out of Korea, which seems to be blazing the way in terms of makeup trends for the world, with western brands such as Lancome and Kiko all jumping on the cushion bandwagon. Laneige BB cushions usually retail at around S$59 in Singapore, which was too pricey for me. 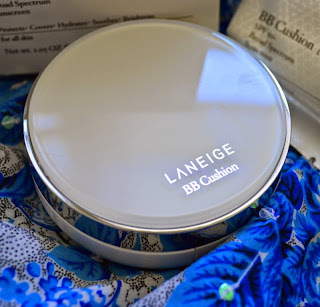 While shopping in Target recently, I chanced across their BB cushion made for the US market going at a US$5 discount off the usual price of US$34. 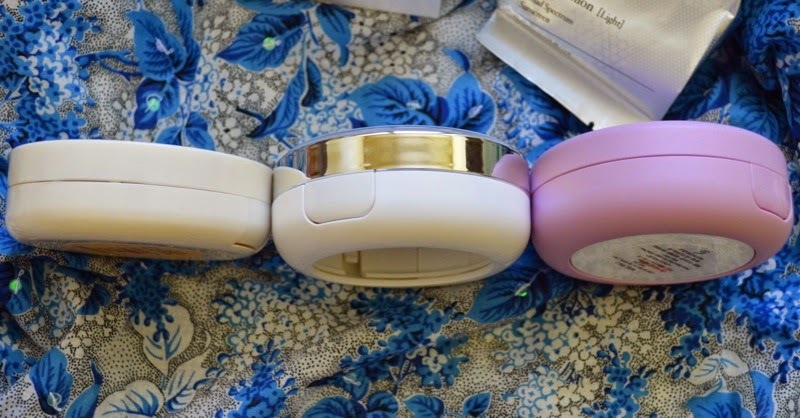 Based on the product description, the US version (which has a "5-in-1 cushion form technology") seems different from the version sold in Singapore, which is touted as having six effects (brightening, UV protection, moisturizing, natural and clean coverage, soothing effect and water-resistant). The US version promises to brighten, protect against UVA and UVB, cool and refresh, help prevent shine and provide natural, longer-lasting coverage. 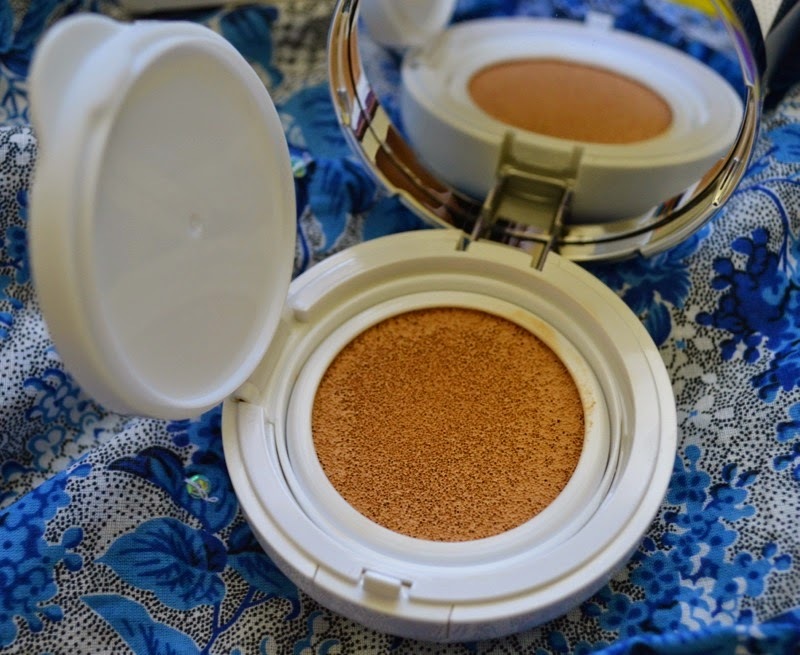 My guess is that the Singapore version is a newer formula, as it replaced a 5-in-1 BB cushion in that market. 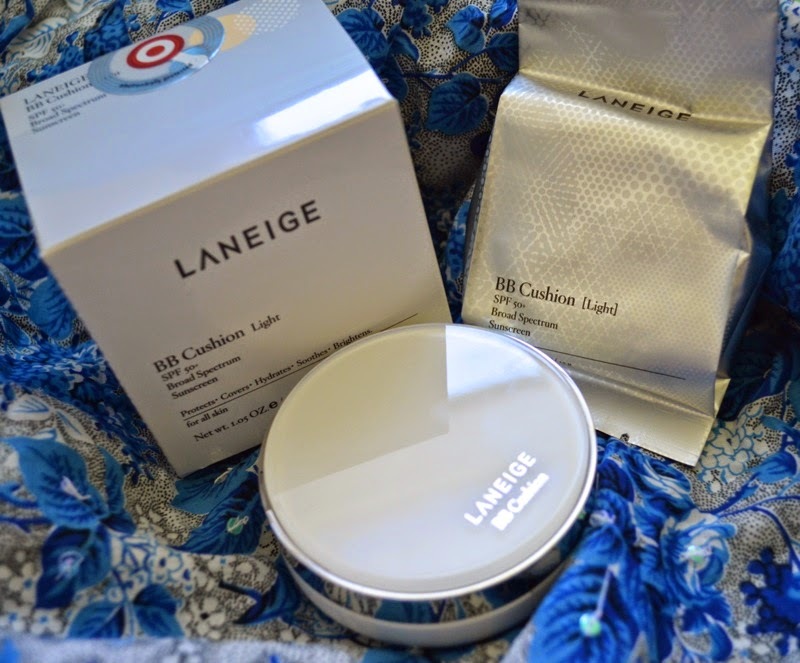 Laneige also sells a Pore Control BB cushion in Singapore and an Anti-Aging one. The US version is available in only 3 shades - Light, Medium and Dark - whereas five shades are available in Singapore. Light turned out to be a decent match for my MAC NC20 skintone, but not the best match for my neck which is just a tad lighter. 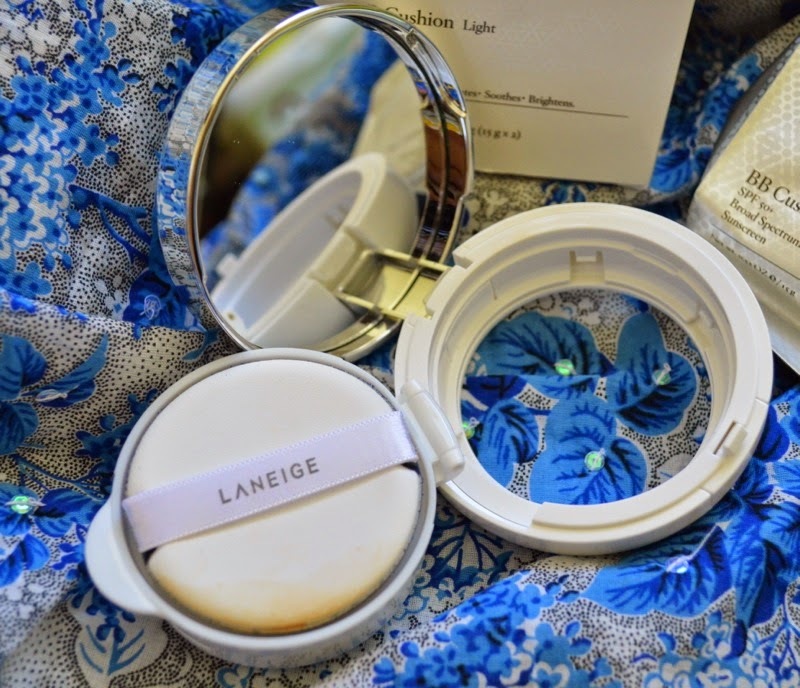 The Laneige BB Cushion comes with an extra refill. Each refill contains 15g of product, so the total amount of product is comparable to standard liquid foundations which usually ring in at 30ml. 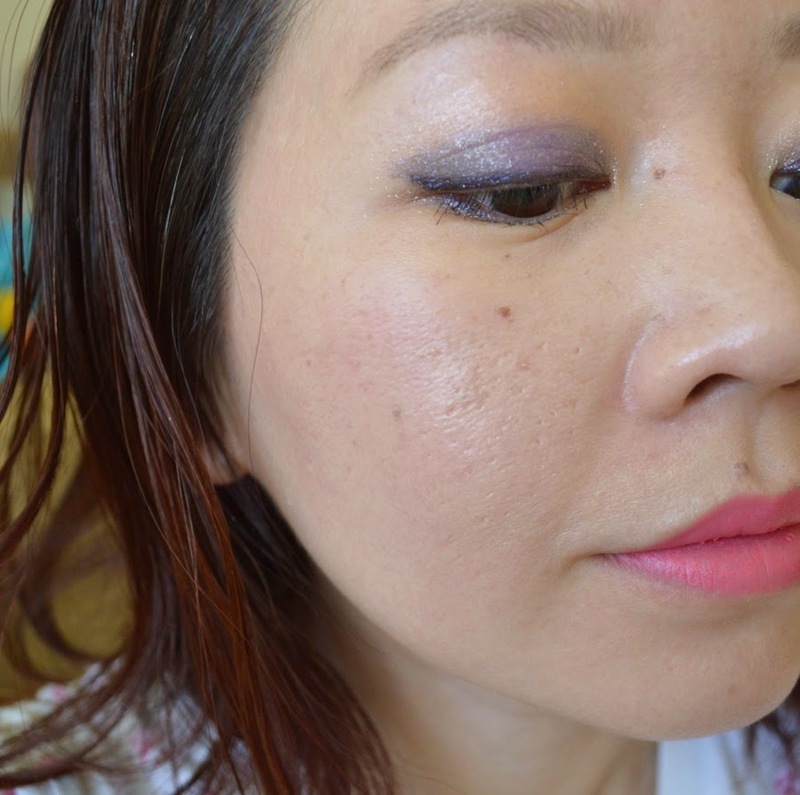 You can see swatches of the three shades on Hello Pretty Bird. The packaging is pretty standard for BB cushions. 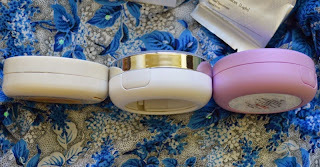 Shown in the pic below (from left to right) are my Innisfree, Laneige and Etude House BB cushion cases. The Innisfree case is the slimmest while Laneige's case is slightly bulkier than the Etude House case. 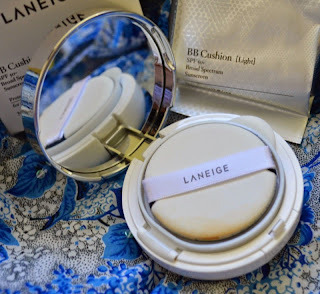 All three brands belong to Amore Pacific, which is like the Korean equivalent of L'Oreal, offering an extensive portfolio of brands from the very high end to the drugstore/low end segment. 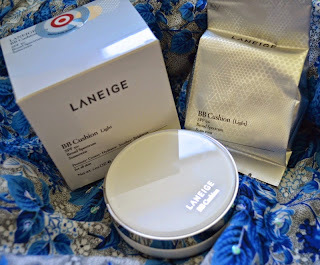 The Innisfree and Etude House BB cushions do not fit into the Laneige case. I found the Laneige BB Cushion to be very easy to apply, with greater ease of blending than the Innisfree Long Wear Cushion and the Paul & Joe Gel Foundation. It provides good coverage of pores and spots, without sinking into the pores or emphasising dry patches. It has a natural-looking finish that is not overly dull or flat matte. In these pics, I applied it over Korres Greek Yoghurt Nourishing Primer. 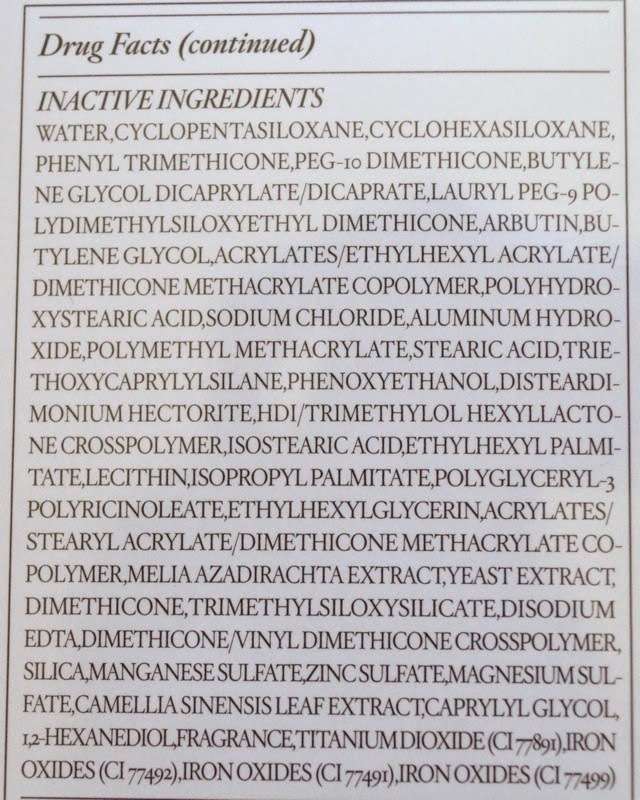 The level of coverage is medium. It did not camouflage the glaring brown spot on my right cheek (the result of over-zealous picking of a clogged pore) but it did a good job of cancelling out the usual redness in my cheeks and around the nose. The oil control was pretty good, with just some slight oil breakthrough on the T-zone after three hours. 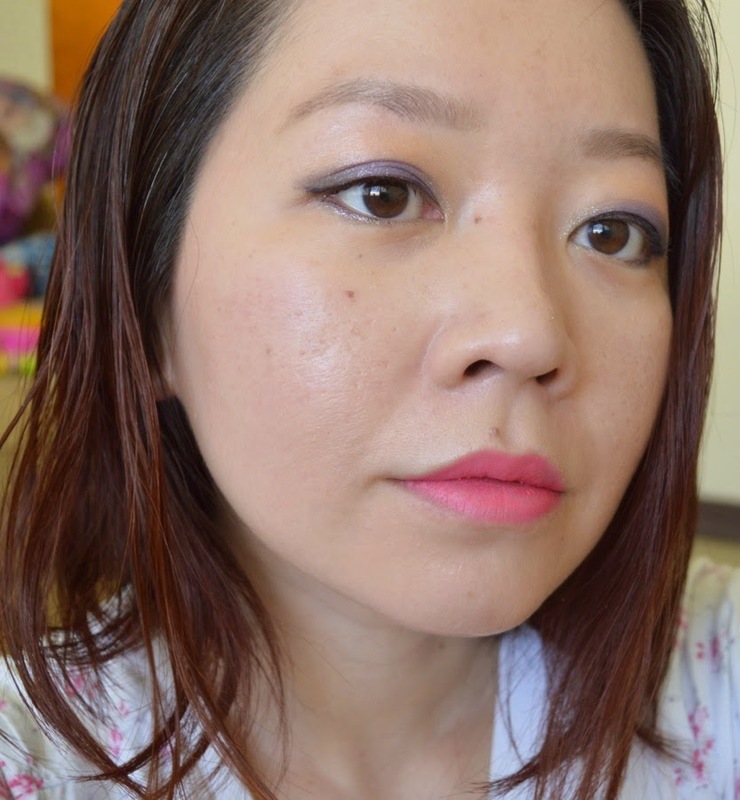 Overall, I like this well enough to recommend it, if you are able to find a suitable shade. It's curious that most Korean brands offer such a measly range of shades despite their growing popularity both in Asia and elsewhere. It's even more baffling that only three shades are available for the US market. 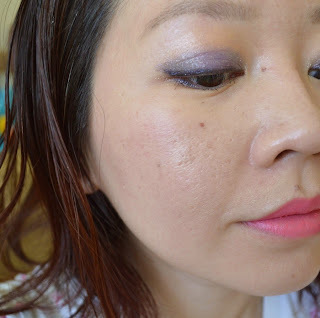 If you have any favourite blogs that review Korean makeup, do let me know in the comments! A few weeks ago I was ranting on my blog about the limited cushion colors available. It's so frustrating. 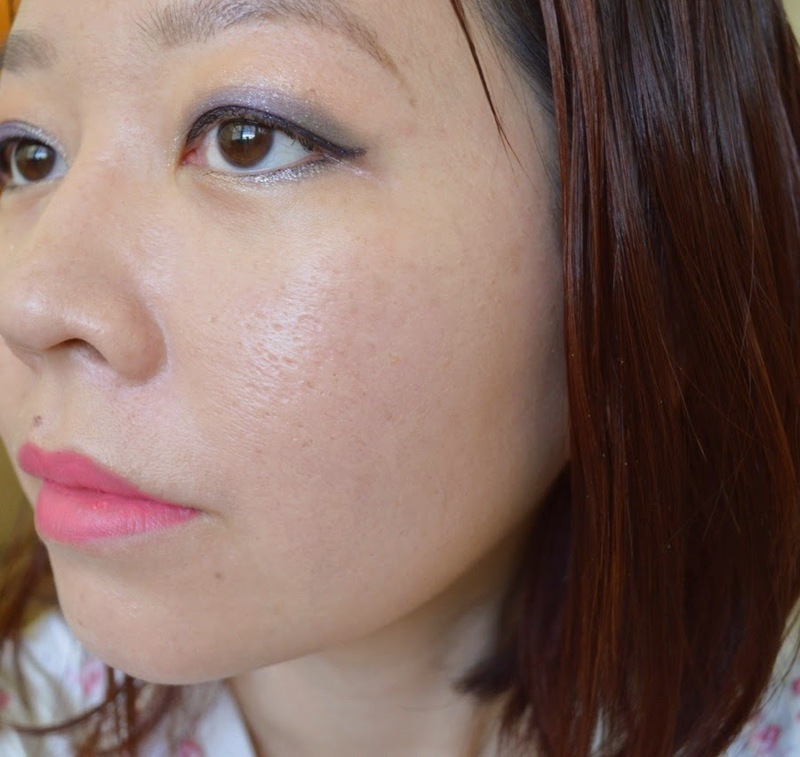 The new Iope color, number 13 is the right pink tone but too dark for very pale skin like mine. Some cushions I can wear only with turtlenecks, because while they look lovely on the face, the difference between my neck and face color is clearly visible. Oh well... Here's hoping the companies will wake up and start offering a broader range of shades. wow, thanks for leaving a comment! I just spent the earlier half of this day and last night reading your blog and love your very detailed reviews! It's such a myopic stance for the Korean beauty companies to take, as finding the right foundation shade is so important to anyone who wears makeup. Even in Korea, there must be many women who fall outside the usual #21 and #23 tones offered, so it's really baffling to me. Thank you so much for your kind words. I'm a bit obsessive when it comes to cushions. Haven't found that "ONE" yet. Though Hanyul Luminant Cushion (old version) was the closest to my requirements. Thanks for the recs, will check them out!